Moș Crăciun pentru o zi! After this long Christmas holidays pause, here we are again! Someone came back home, someone used this free time to take a round. Personally I went to Poland with Aga and an Italian friend, we went by hitch-hicking and, honestly, it was a bit hard to come back home but after three days we did it and we had the possibility to see and appreciate some cities in Slovakia and Hungary, really nice places. 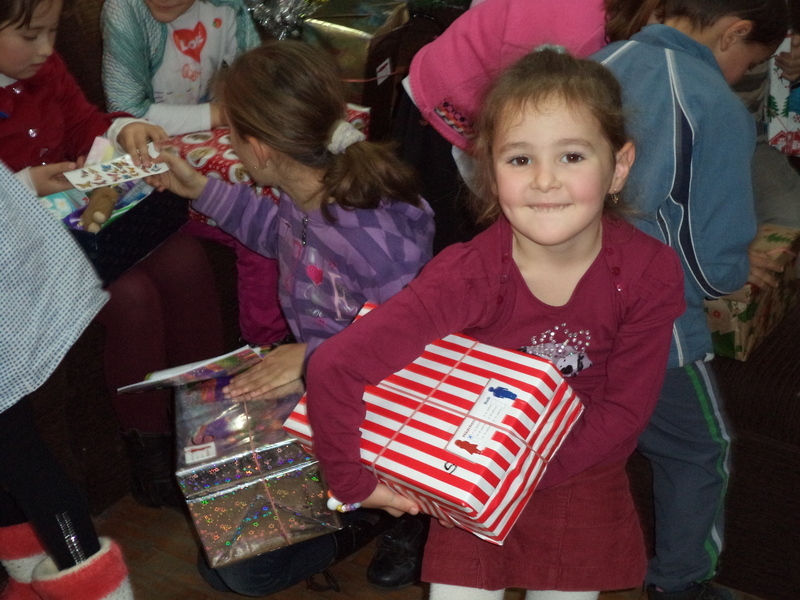 Anyway I would like to tell you about what we did for Christmas with our little friends, our “copii din Curtici” and maybe I’ll tell you about my trips in another post, why not!? 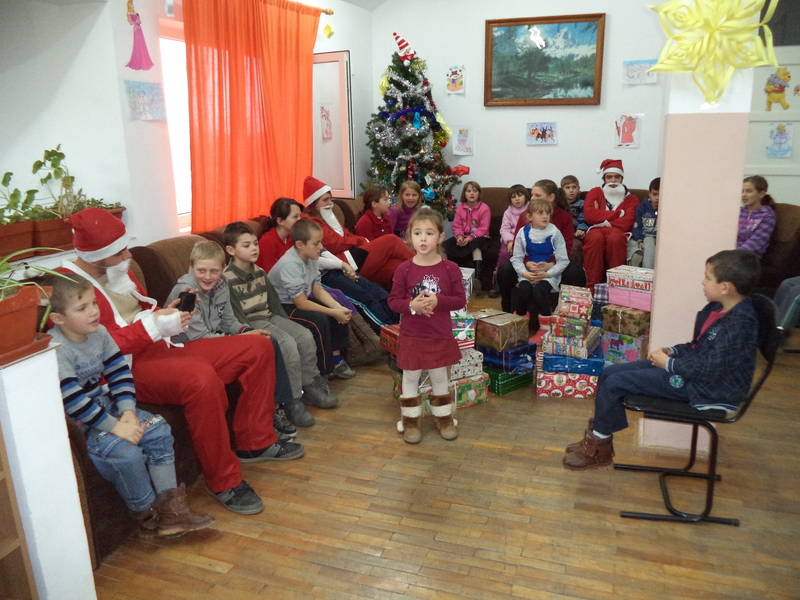 So as I said let me tell you about our “Moș Crăciun day” in Curtici. 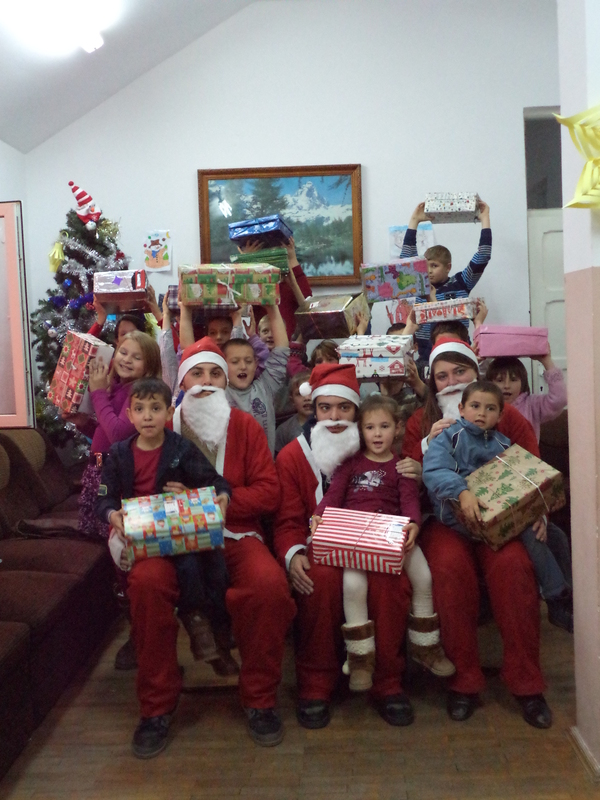 Some days before the holidays we got a call from our organization, they asked us to help them to unload some packages from a truck, actually it was more than some package, it were “second hand” toys collected in Germany and sent to Romania to make happy Romanian kids that unfortunately couldn’t have the chance to enjoy this period as other children do. 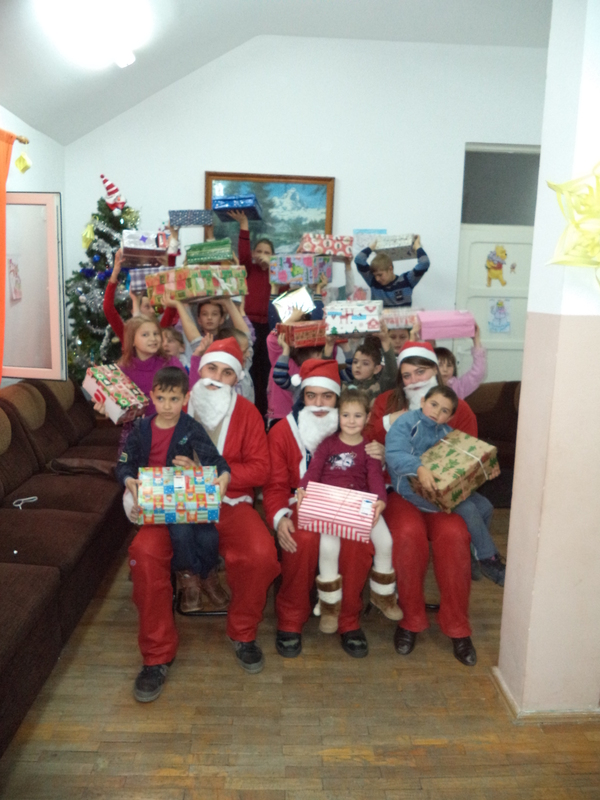 We stored all this presents and we took some of them to bring to Curtici and gave them to the children of the Curtici children center. Some days after Aga, Antonio and me went with Cristina, our coordinator and Ana, local volunteer, to Curtici. 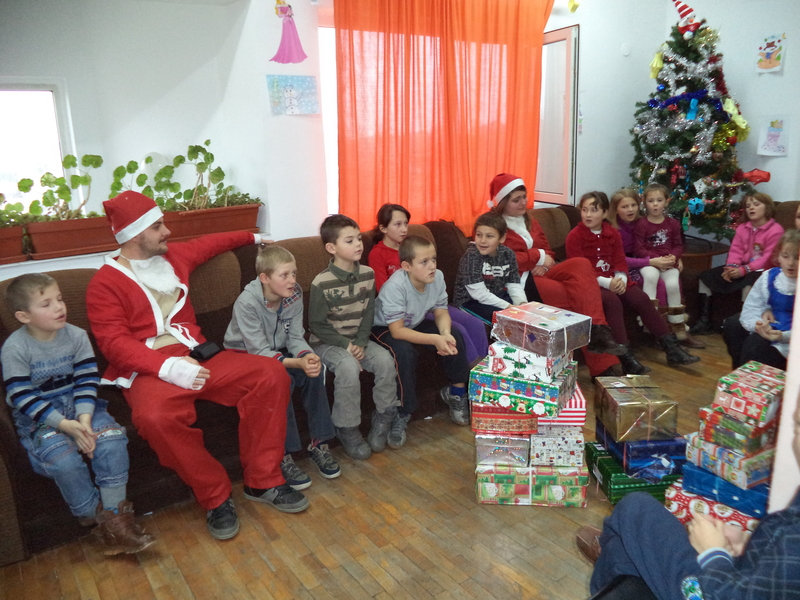 The surprise for them was that we were wearing the costume of Santa Claus and children were amused to see us in the shoes of Moș Crăciun ( as Santa Claus is known here in Romania). Laughs, hugs and kisses, great! 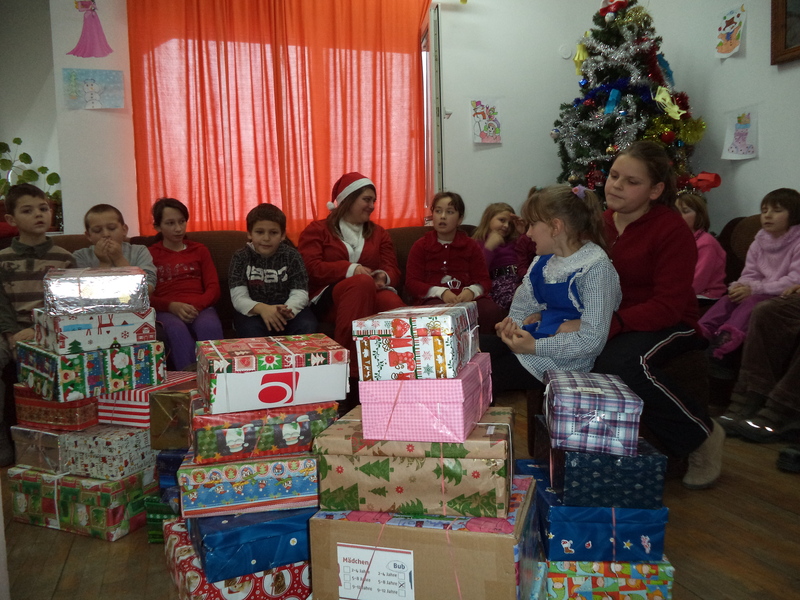 We spent with them some time and after giving the good wishes for a happy Christmas we left Curtici with a smile in our faces!